Saturday Morning RPG Game Giveaway - KABALYERO - PLAY, BLOG & EARN! Saturday Morning RPG Game Giveaway, if you want to join this giveaway then continue reading this post. Saturday Morning RPG is a retro-style RPG set in a world inspired by 1980's Saturday morning cartoons and pop culture. It was developed by Mighty Rabbit Studios and first released on April 5, 2012. 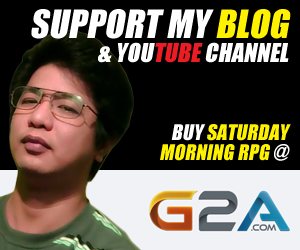 Buying Saturday Morning RPG in STEAM would probably cost you 4 to 6 US Dollars but you can get a chance to win this game for FREE by joining the Saturday Morning RPG Game Giveaway. Joining the Saturday Morning RPG Game Giveaway is very easy. All you have to do is submit your entries in the Giveaway Tools Widget below. Now, if you wish to receive updates when new blog posts are posted then don't forget to follow @kabalyero in Twitter. You can also help me grow this blog by sharing it to your friends. Thank you very much and goodluck to everyone. 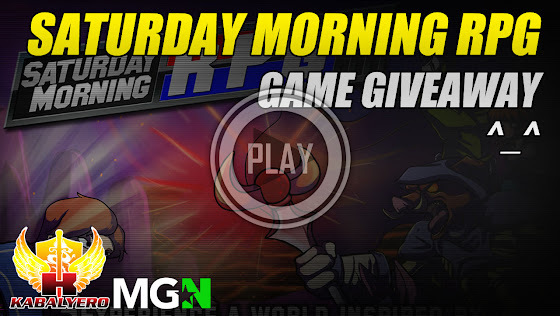 ☛ This giveaway is for a copy of Saturday Morning RPG. ☛ This giveaway is open to gamers (and non-gamers).